Next CTP will be in October 2019. We will stay at Myvatnhotel. 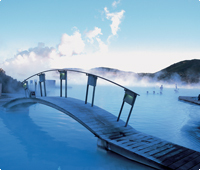 Treatments will take place in groups at the hotel and in natural hotsprings under the supervision of Dr. Chas Perry. For more information, contact me on +46 (0)730-27 73 41. Now we have possabilities for two days intensive treatments in Denmark. Next sessions will be 15-16 of February 2019. Please call for information. Experience what intensive craniosacral therapy can do for you. Over 2 days you will have 4 intensive multihand treatments. Two treatments will be on table and two will be in a hot water pool. There will be two craniosacral therapists present at every treatment. The stay is surrounded with beautiful nature and is close to Lillebealt. In between the treatments it will be possible to enjoy the surroundings, go for a walk, rest, and reflect or to be with others. There will be served delicious organic lunch and snacks throughout the days. here are good opportunities to use the garden and the surrounding nature – close to forest and beach.The Broendegaard is organic. I it located next to Foensvang Lake, 2km away from Foens beach and Lillebealt. nature, and there are great opportunities for taking walks. called multihands treatment. That way, the therapists have the opportunity to support the client more precisely to the needs of the client, and therefore the treatment becomes more intensive.To get 4 treatments in 2 days means that the body stays “in process” in between the treatments and the therapy can therefore more easily continue.The time between the treatments is important. This is time for the body and mind to digest, and we encourage walks in the forest, use of the garden, meditation, reading or creative expression fx painting. Nothing is arranged, and the choice is individual. Treatment in water gives a new dimension compared to treatment on table. The body is floating with support from the two therapists, which give a great freedom for movement.This way, the body has opportunity to take positions, which are great to release tensions.Besides is the sensual experience of the warm, surrounding water for most people a great pleasure with a calming effect of the nervous system. With intensive treatment programs like this, the body’s selfhealing powers are activated. It often becomes a process, where releases happen, not only in the physical but also the emotional dimension. Many people get a greater insight in their own story, and reaches acknowledgement and thereby get the opportunity to take choices or make changes, which is good for the healing and well-being for the person. The process hereby gives the opportunity to process possible trauma on several levels.We call the process Somato Emotional Release, SER® which indicates that our physical body is close connected to our mind, thoughts and emotions. The therapists above are connected to the project. Exactly who will be present depends on the number of clients.All are educated on Advanced level.All has great experience with intensive treatment programs.It will be possible to follow up on the treatments afterwards. Registration – and possibly help to find accommodation: at registration there will be provided a list of what to bring. Experience what intensive craniosacral therapy can do for you. delicious organic lunch and snacks throughout the days. hot water pool 4.00pm - 6.30pm Treatment in water and reflection time.